February is Black History Month, and we’re celebrating with events around town. Below is a list of events taking place around Los Angeles this February. 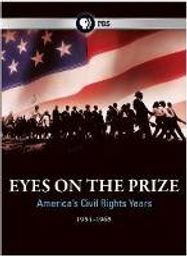 Saturday Feb. 1 - Eyes On The Prize: America's Civil Rights Years, 1954-1965 – AC Bilbrew Library (150 E. El Segundo Blvd.) - 1 p.m. The AC Bilbrew Library has a number of Black History events this month, starting with this film screening of Eyes on the Prize. Sunday Feb. 2 – Target Sundays at CAAM 600 State Dr. - 1-5 p.m. If you haven’t yet been to the Contempoary African American Museum, this might be a good reason to go. CAAM, as it is also known, kicks off BHM with a celebration of achievements in history, art and culture with live performances and an art workshop. Monday Feb. 3 – Moses Sumney – Bardot Hollywood – 9 p.m. Experimental soul-folk artist Moses Sumney takes the stage at Bardot Hollywood. In the world of creativity, Yoann Lemoine is a renaissance man. The French born director turned singer-songwriter is turning heads with every new project he takes on. Known for directing well-crafted music videos for Katy Perry, Lana Del Rey, Taylor Swiftand Drake, Lemoine is also an accomplished photographer, graphic desinger and illustrator. Growing up in a musical home, the move from behind tha camera to behind the mic was organic. With a keen eye for sleek directing and a strong ear for grand, plush production, the stage was set for Lemoine to introduce the world to Woodkid. Under this moniker, Lemoine performs neofolk/experimental pop music both singing and producing tracks. His debut album, The Golden Age, is an autobiographical work about his childhood. The album utilizes layers of real live strings coupled with synthesized orchestration giving both an analog feel with digital clarity. Vocally he sounds reminescent of Morrissey and some critics might say it makes for a modern take on The Smiths. He's got a little something for everyone. 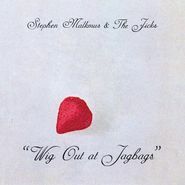 The hip hop heads dig it, goths and electronic fans eat it up, and even the classically trained musician can appreciate the beautifully layered arrangements. The kid is good. He directs all his videos in his signature black and white look, shot in high definition for maximum sharpness. The fomula for his visuals creates a very nolstalgic feel and gives you a sense of the past and the future all at once. 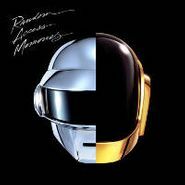 The 2014 Grammy Awards took place over the weekend, with big winners including Daft Punk and Macklemore & Ryan Lewis. We were excited to see Grammy love given to Amoeba friends like La Santa Cecilia and The Civil Wars, while best alternative album went to Pitchfork and Rolling Stone's favorite album of 2013, Vampire Weekend's Modern Vampires Of The City. A lot of people were talking about Imagine Dragons' performance with Kendrick Lamar, while our favorite has to be Beyonce's opening performance of "Drunk in Love" with her husband, Jay Z. In honor of contemporary folk music pioneer Pete Seeger, who died last night at age 94 of natural causes, we present a series of video clips (music and interview) with the influential singer/songwriter whose activist work never ceased and whose career spanned over seven decades. He continued performing up to last year when he sang at Farm Aid 2013 (see below), and speaking out on issues like global warming in recent years (see NY Times interview clip below). Much more than being simply a musician or a singer/songwriter, Seeger was (as accurately described on his Amoeba website bio) also a folklorist, labor activist, environmentalist, radical leftist, rabble-rouser, and peace advocate. A known left-wing advocate in the 1950's, Seeger was called before the House Un-American Activities Committee. When they accused him of being a Communist, refused to testify. Found guilty of contempt of Congress, he was sentenced to a year in prison. His leftist politics also resulted in him being banned from network TV for more than a decade. Read his full story here on the Amoeba website, and browse the selection of recordings he left behind as his legacy (his discography includes 100+ albums to his credit) on Amoeba.com, including (a great intro to his work) the 16 track Sony Legacy series release Pete Seeger's Greatest Hits that includes such trademark songs of Seeger's as "Where Have All the Flowers Gone," and "Turn! Turn! Turn! (To Everything There Is a Season)," and the Smithsonian Folkways 27 song collection American Favorite Ballads, Vol. 2: Pete Seeger. Other Smithsonian Folkways collections of Seeger's worth checking out include the 26 song CD collection If I Had Hammer: Songs Of Hope & Struggle, and the 2 CD set live concert recording The Complete Bowdoin College Concert 1960. Another recommended concert recording from around that same period is We Shall Overcome: The Complete Carnegie Hall Concert that is a 2CD set that features 40 songs from that 1963 New York City performance. In the first video clip below, an interview from eight years ago with Seeger at age 86, he discusses the history of the rallying protest anthem, "We Share Overcome." When I was a kid, movies took up a big slice of my daily routine. I was an introverted introvert with nary a friend to call my own. Pop's wasn't around so that left my mom, sister and our RCA television to raise me. I was devouring movies at such an alarming rate my mother began to worry. But that's what mothers do; they worry about their children - especially African mothers. (How will she ever get a grandchild from someone who prays to a TV set?) By the time I was seventeen, I was a self-proclaimed film buff. (Not like I had anything else going for me.) I openly mocked peers with my cinema prowess, brandishing pithy one-liners and pop culture references to put them in their place. But one of those underlings asked an interesting question: "What was my favorite film on African American life?" It made me ponder how much Black cinema I've actually seen. The answer startled me. Now, outside of John Singleton, the Hughes Brothers, some Blaxploitation movies and the occasional Spike Lee joint, there weren't that many I was exposed to. I blamed it on the fact that compared to others, African American movies were far and few between. Heck, I saw more movies from Alfred Hitchcock than all the directors I named above combined. But that was lazy and actually quite inaccurate. There was plenty of gold to be had. So I started to dig. Nothing But A Man was one of those gems I discovered. Now this may come off as hyperbolical fluff but I honestly believe this is not only one of the best films on African American life, but American life, period. I never liked the distinction between the two anyway. It's rare to see a film on this subject handled with such tact and elegance - a quiet, sensitive piece with the delicacy and finesse of a Swiss watch. In salute of African American living legends, this tribute to Maya Angelou is the first in a series for the 2014 Amoeblog Black History Month. Maya Angelou, who will turn 86 on April 4th, was born in St. Louis, Missouri in 1928. She would go on to live a trailblazing life in which her accolades would include being an activist, author, actress, screenwriter, educator, dancer, singer, poet, and San Francisco cable car operator. In the 1940's during World War II Angelou moved to the city by the bay (she would return to San Francisco a decade later) after winning a scholarship to study dance and acting at the California Labor School. During that time she briefly held a job as a SF cable car operator. Even at that she was a pioneer in her field by being the very first black female cable car conductor. And that would be only one of numerous "firsts" for Angelou during her influential life. Angelou's 1969 coming-of-age memoir I Know Why the Caged Bird Sings, which her friend James Baldwin was instrumental in getting published, made literary history for being the first nonfiction best-seller by an African-American woman. It also broke records by later enjoying a two-year run on The New York Times' paperback nonfiction best-seller list. Angelou was also the first African-American woman to have her screenplay produced when, in 1972, the film screenplay for the film Georgia, Georgia was adapted from her book. John Wiese is a prolific experimental electronic-noise composer. He has released over 100 7-inches on various international labels including his own imprint, Helicopter. John Wiese is known all over the world for his work in LHD and Sissy Spacek, including collaborations with Sunn O))), Wolf Eyes, Evan Parker, No Age and C.Spencer Yeh just to name a few. John Wiese recently visited Amoeba Hollywood to pick up some super interesting music and share it with our What's In My Bag? crew. He first grabs the trippy experimental/dubby Persuasive Barrier LP by Three Legged Race. Wiese then finds a copy of a book he hadn't heard of before, Erewhon Calling: Experimental Sound In New Zealand. It's nice to know he discovered this book at Amoeba! He also supports his long time buddies in No Age by picking up their latest album, An Object. Watch the full episode below and check out the awesome 7" art piece he digs up! Vivian Girls Officially Break Up; Slowdive Getting Back Together? One of our favorite modern bands, Vivian Girls, are officially breaking up. They'll play two last shows, one of them here in L.A. at Highland Park's new Church on York venue, on Valentine's Day, Feb. 14. You can get tickets here. Or if you're in New York, you can see them at Death by Audio March 1; tickets for that show are here. Both shows are all-ages. I made this Vivian Girls Family Tree a while back to note the myriad other projects that spring from the band. As far as the members of the band go, Cassie Ramone will continue with The Babies, along with Woods' Kevin Morby; Katy Goodman will have a new La Sera album out later this year; and Ali Koehler continues with her new band, Upset. You can read interviews I've done with Goodman and Upset. Warpaint’s The Fool was a great slow burner of a record, one that grew on you with each successive listen such that it continues to sound great years on. Now, four years later, the ladies of Warpaint return with their long-awaited second record. As is their way, Warpaint unfolds at an unhurried pace, relishing in subtleties with songs whose meanings or melodies you might be able to place right away, but whose impressions lasts much longer than instant gratification-style pop songs. They’re sort of the spiritual successor to the band Slowdive, the shoegaze greats who encountered as much acclaim as derision during their time, due to their milky, washy music, but who have since been ensconced as one of the most beloved bands of the ’90s The effect of Warpaint’s music is similar, washing over you in spurts and leaving streaks. 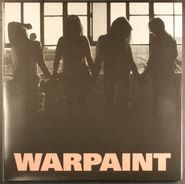 With a band like this, it’s generally tough to name singles or easy entry points, but Warpaint has some moments that stick out, namely “Biggy,” a great, trip hoppy pop song along the lines of Radiohead’s Kid A/Amnesiac period, while “Disco // Very” sees Emily Kokal’s vocals getting distorted and nasty over, yes, a disco beat, recalling some of the disco-rock of the ’00’s, only with a dirtier, dubbier tone. In these songs, Warpaint sees the band stretching their wings a bit, while fans of the first album will find much to love in the album’s dark, atmospheric corners. 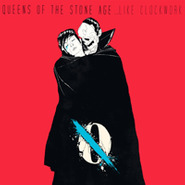 It’s altogether a fantastic, well-considered second album that proves the rewards of patience. The other day I stumbled across the above flyer from now (gasp!) 20 years ago. It was for a rap/hip-hop concert with mostly Oakland/Bay Area acts at the long gone Townsend Club in San Francisco that took place on a Friday night, August 12th, 1994. It was for The Conscious Daughters (TCD), who that year released "We Roll Deep" on Bay Area hip-hopper Paris' label Scarface Records distributed by Priority Records, along with fellow Oakland rap talents Seagram, EA Ski & CMT, and Rally Ral, plus visiting Texas rap star Big Mike of the Geto Boys affiliation (misspelled "Ghetto Boys") on this basic design flyer. Beyond the initial reaction, as a longtime hip-hop fan/follower, to fondly reminisce on a golden time period in Bay Area rap the other thing that jumps out at me from this flyer is the sad realization that we have lost two of the famed Bay Area rap artists on this flyer way too early in their lives: promising East Oakland rapper signed to the Geto Boys' Rap-A-Lot Records label Seagram died at age 26 (he was shot) just as his career was starting to take off, while fierce female emcee Special One who was one half of The Conscious Daughters tragically died a little over two years ago (only in her 40's) as a result of complications associated with blood clots that had reached her lungs. In honor of both of these two fallen East Bay talents below are music videos from each: TCD's "We Roll Deep" and Seagram's Oakland themed 1993 gangsta rap single "The Ville" from the late rapper's album The Dark Roads (inset). 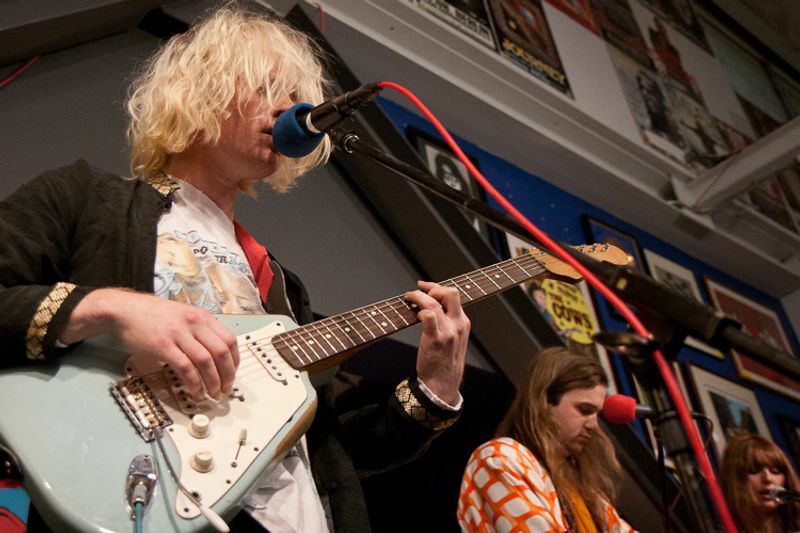 Kiwi singer-songwriter Connan Mockasin started his Jan. 17 set at Amoeba Hollywood with a set of loose instrumental jams punctuated by strange synth bursts. He cooed along to a smooth space groove before picking things up in an upbeat showcase for Mockasin's gloriously woozy guitar work, which got steadily more frantic until bombing out into a druggy outro. He played the first part of the five-part "It's Your Body" suite, taken from the excellent Caramel album, which is a sumptuous soul jam apart from its four other, disparate parts. Mockasin paused to speak positively about L.A., saying he had been feeling sick and intimidated by city previously. 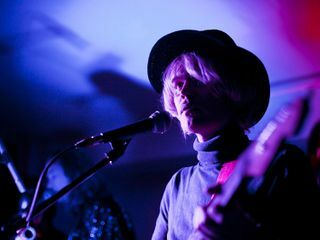 "You hear all the stories ... and it's not true," Mockasin said of his first visit down. He asked for audience participation to hit the high notes on the next song. That ended up in a weird, warbling audience singalong mid-song. 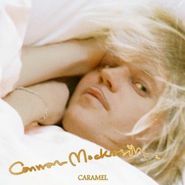 He next played the Princey "Caramel," which burrows its way into your head via a catchy, repeated synth part. Mockasin sang soulfully, hitting those high notes perfectly and subtly warping his voice to match some of the effects on the record. The band exploded for Caramel standout "I'm the Man, That Will Find You," making great use of curling guitar riffs and its slightly-creepy-when-you-think-about-it titular chorus. 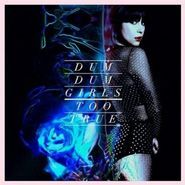 The song sounds a bit like a warped 12" played at half-speed of a punk cover of a Motown hit that never existed. So try picturing that! Dr. Martin Luther King, Jr. Day may not be until tomorrow (January 20th), but MLK celebrations and events in the East Bay honoring the civil rights leader begin today with events at both Oakland's Scottish Rite Center and the Oakland Museum of California (OMCA) where, as part of the downtown Oakland museum's ongoing HistoryMakers / ScienceMakers Series, there is an exhibit honoring MLK and other black innovators. Today's program features hands-on science activities and a presentation by physicist Dr. Hattie Carwell. And throughout the rest of the month, OMCA goers can celebrate MLK with family workshops during the popular Friday Nights @ OMCA when kids can make their own matchbox-sized dream world (in keeping with the MLK "dream" theme). Also on exhibit at OMCA are such MLK themed pieces as Ivan Garrik's 1968 offset lithograph "I Have A Dream" pictured above. Then a little later today in Oakland - within walking distance from the OMCA - is In The Name Of Love, the annual Oakland musical tribute now in its twelfth year. The talent-packed program begins at 7pm sharp and will feature Martin Luther McCoy, Marcus Shelby Jazz Orchestra, Oakland Interfaith Gospel Choir, and Oakland Children's Community Choir with Oaktown Jazz Workshops. Admission $23, $25 at the door, $8 for children 12 and under. Tickets. For four hours every Thursday evening (6-10pm), San Francisco's California Academy of Sciences throws its NightLife party series where they invite the public into their beautiful headquarters at Golden Gate Park to immerse themselves in "cerebral science." Think: a party where you learn new things. It's usually a lot of fun but this week (tonight) will be hella fun and if you've never gone to the NightLife party, this week is one to hit up since hometown turntablist hero DJ Qbert is performing (along with sets by Dan The Automator and DJ Shortkut) in celebration of his long-overdue follow up to 1998's Wave Twisters, the brand new album Extraterrestria. With this new album (that will be released in two parts - an all skratch version and emcee collaboration version) Qbert hopes to deliver the sound of skratch music in the future, or, as he describes it, "the time capsule response and interstellar transmission to any galactic civilization, alien or far-future human." Hence the choice of location for tonight's party, which is part pre-release celebration and part Kickstarter launch (29 days to go).The album, that will be available in Amoeba upon its release, will feature Kool Keith, Del, Mr Lif, Dana Leong, Chad Hugo (The Neptunes / N*E*R*D), and others. CIIS Public Programs & Performances and Amoeba Music present one of Africa's most popular and recognized musicians, Habib Koite, on Saturday, February 1st at the Nourse Theater in San Francisco. Koite has gained a strong fan base by integrating the rock and folk sounds of the Western world without watering down his cherished Malian roots. Called "Mali's biggest pop star" by Rolling Stone (in an article in which Bonnie Raitt compared Habib to Jimi Hendrix and Stevie Ray Vaughn), Koite has also received raves from People, Entertainment Weekly, and the New York Times. Habib Koite was born in 1958 in Thies, a Senegalese town situated on the railway line connecting Dakar to Niger, where his father worked on constructing the tracks. He descends from a line of griots, traditional African troubadours. Koite grew up surrounded by seventeen brothers and sisters, and developed his unique guitar style accompanying his griot mother. He inherited his passion for music from his paternal grandfather, who played the kamele n'goni, a traditional four-stringed instrument associated with hunters from the Wassolou region of Mali. Koite takes some unique approaches to playing the guitar. He tunes his instrument to the pentatonic scale and plays on open strings as on a kamale n'goni. At other times Koite plays music that sounds closer to the blues or flamenco. His singing style is restrained and intimate with varying cadenced rhythms and melodies. Koite is unique because he brings together different styles, creating a new pan-Malian approach that reflects his open-minded interest in all types of music. The Downtown Flea Market is back this year, happening weekly starting Jan. 26. Now taking place every Sunday from 10 a.m. to 4 p.m., it boasts antiques, collectibles, vintage clothing, and crafts and clothes by independent designers. New additions this time around include Latin-Jewish fusion truck El Nosh and burgers 'n' hot dogs truck Son of a Bun. Amoeba is a proud sponsor of The Downtown Flea Market. 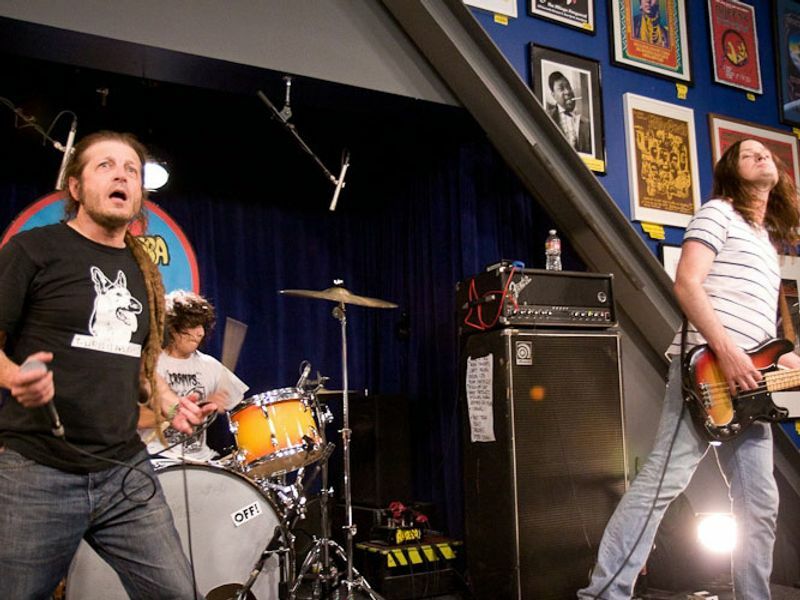 Mention Amoeba at the doors and receive $1 off admission! The market takes place in two parking lots in Downtown Los Angeles, at 3rd St. and S. Spring St. Admission is $3, or $2 online. Kids under 12 get in for free. Pick up tickets at the entrance to the Yellow Lot (246 S. Spring St.), on the east side of Spring at the corner of 3rd. Parking can be found for $5 in nearby lots. Downtown Flea Market recommends parking in the six-story lot on the east side of Spring, between 2nd and 3rd. Better yet, take the Metro there! Check out an interview with founder Phillip Dane below. Known to his mum as Archy Marshall, the South East London native is known globally to his fans as the baritone crooner King Krule. What started with humble beginnings beatmaking in his bedroom, alone on a malfunctioning laptop, is now a full-fledged music career at the tender age of 19. And the kid is really good. Pop mega star Beyonce and underground Hip Hop phenom Earl Sweatshirt have both voiced their praises for King Krule. A recent tour stop in Southern California saw back to back sold out dates at The Echo. Despite not having a radio hit, King Krule has already garnered major buzz. Although he first cultivated a cult following via free digital downloads, Archy Marshall prefers the hiss and dust of vinyl over the digital format. Most teenagers have little to no knowledge about music pre-MP3 or digital download. Few know what it's like to go digging for vinyl at a local record store, but King Krule is the exception. Raised on Jazz, R&B, Rock and Hip Hop, Archy Marshall has all the makings of an old school musician. His debut album, 6 Feet Beneath The Moon, was released on his 19th birthday. On a recent trip to Amoeba Hollywood, King Krule hung out with our cameras for another awesome episode of "What's In My Bag?" This is definitely a must-see video, with King Krule showing off a very deep and wide musical palette. Given his selections it is no wonder why his music is winning fans all over the world. He kicks off things with a very cool picture disc of The Damned's Live In Newcastle. A huge fan of soul music, Marshall picks up Donny Hathaway's Extension of A Man and The Singers Unlimited's Just In Time. All of his selections are on wax including Talking Heads' Remain In Light and the Pixies' Doolittle. Kudos to King Krule for keeping the vinyl alive! Cancer hasn’t gotten Sharon Jones down. The lead singer of the slammin’ Dap-Kings has never sounded livelier or feistier than on Give the People What They Want—she’s still the hardest-working woman in show biz’, a spiritual successor to James Brown and Tina Turner. “Stranger to My Happiness” is a classic Dap-Kings groover along the lines of “Tell Me,” an ecstatic ode to moving on from whatever’s holding you back. 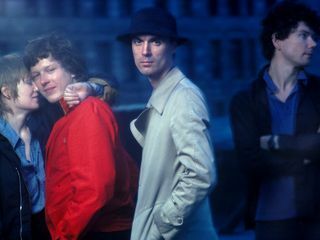 Some of the band’s best songs have often focused on forward momentum and feminist sentiment, and that’s reflected in songs like the sassy, Led Zeppelin-esque kiss-off “You’ll Be Lonely.” But there’s almost unbridled optimism here, too, on the touching soul ballad “We Get Along,” an ode to enduring love and contender for the soundtrack to renewing your vows, if ever there was a song for that. “Making Up and Breaking Up” is classic Motown on the nose, and it’s great—you won’t be able to get it out of your head. Give the People What They Want truly lives up to its name. It’s just one jammer after another, and proof that adversity makes us stronger. Come get your copy of the album signed by Sharon Jones at Amoeba Hollywood Wednesday, January 15 at 6 p.m.! Our favorite time of year is here once again. The Oscar nominations come out on this Thursday January 16th. The Golden Globes ceremony took place on this last Sunday. The Oscars will take place on Sunday March 2nd. So if you have not seen some of the movies we will be listing here you still have some time to see them before the Oscars. I really think that 12 Years A Slave is the best made movie of the year. It is a beautiful film to look at. It might be a difficult movie for some to watch. But I found American Hustle much more difficult to sit through. I am still not fully sure why the Academy loves David O. Russell so much. I will admit that I was worried going in because of how much I disliked Silver Linings Playbook last year. But American Hustle is a much better film, I will admit. I just wanted it to be better than it was. I really think it should be between Nebraska and 12 Years A Slave for the big award this year. I enjoyed watching Gravity, but I just don't think it holds up against the other movies out this year. But you really need to see all these movies to make up your own mind. Her, Gravity, 12 Years A Slave, Nebraska, American Hustle, Dallas Buyers Club & Blue Jasmine are the movies you absolutely must watch if you like movies. And if you want to prepare yourself for the Oscars. I am not really expecting any big shocks this year in the nominations, but I always hope that there will be. I hope that this year David O. Russell will be left off the Director list like Ben Affleck was last year. Or that a movie like Lone Survivor or The Spectacular Now sneaks into the best picture race. Her was another one of my favorites of the year. I was so happy it won Best Screenplay at the Globes. I think it has a good chance at the Oscar for that category. And I hope it sneaks into the Director and Acting categories. You know how big music festivals like the Warped Tour, Lollapalooza, or Rock The Bells always have different stages presenting different acts for concert goers to choose from? Well last night's Bay Area Amoeba Music annual music festival/staff party event, which takes its name from the aforementioned Lollapalooza, also had two different stages but at two different clubs on both sides of the Bay Bridge presenting Amoebapalooza 2014. These events, one at Brick & Mortar in San Francisco and the other at The Night Light in Oakland, offered up a richly diverse night of entertainment for both East Bay and West Bay peeps. 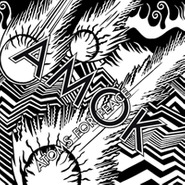 Since I missed out on the SF event, opting instead to head down to the Jack London Square area Oakland venue for the evening, I will be anxious to read about Amoebapalooza San Francisco 2014 here on the Amoeblog in the coming days. Meantime let me tell you about last night's Night Light East Bay Amoebapalooza: it was Fun with a capital F, and all for no cover at the door. Unlike the SF show it did not offer a non-stop parade of bands but rather a nicely balanced night with just two bands (both high caliber), a DJ (excellent), and a stand-up comedian (really good), complimentary pizza and tasty cupcakes baked by former Amoebite Ryan, plus prizes that nearly everyone in the house was lucky enough to win. Childish Gambino, aka the rap alter ego of actor/comedian Donald Glover, is once again the number one, top selling hip-hop artist at Amoeba Hollywood for the third week in a row. Not bad for a guy who at first was not really considered a serious hip-hop artist but mostly recognized for his acting/writing/stand up comedy careers. But so successful is Glover's Childish Gambino rap career that he made the (what must have been tough) decision to quit the cast of the popular NBC sitcom Community (last night's "Bum Crack Bandit" episode was most entertaining) mid way through its current, recently returned, fifth season so as to be able to focus 100% on his rap career and do shows to support Because the Internet (Glassnote). James Patrick Page, the man best known as rock guitar legend and Led Zeppelin main main Jimmy Page, celebrates his 70th birthday today. And for the occasion this Amoeblog celebrates with a live concert clip and two interviews from two eras four decades apart with the man who during a BBC1 television interview in 1957 when the then only 13 year old young Page, who was on as part of a group performing "Mama Don't Want to Skiffle Anymore" and "In Them Ol' Cottonfields Back Home," told the BBC interviewer that when he grew up he wanted not be a full-time musician but "to do biological research" in finding a cure for cancer. That classic early Page clip is included in the most recent (December 2012) BBC TV interview segment with Kirsty Lang. The other (much shorter) interview is with Page along with Led Zeppelin bandmate Robert Plant from a press conference back in New York City in September 1970 during the band's heyday. Meanwhile in the live concert clip, which is of Jimmy playing "Stairway To Heaven" double neck guitar solo, he appears to have been partying a bit before the show but still manages to nail it. 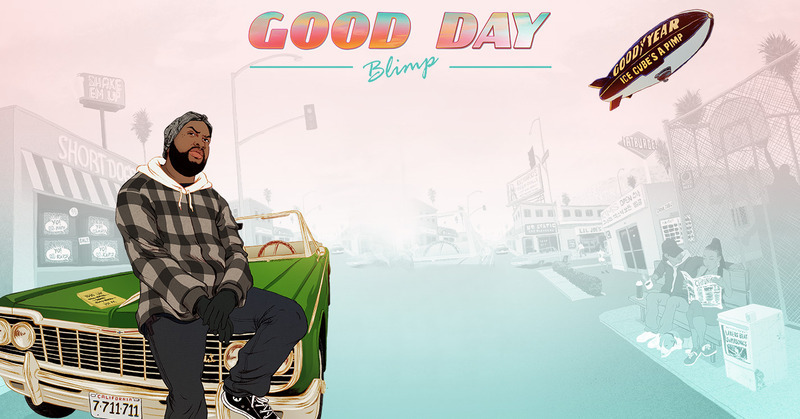 A clever crowdfunded project to get the Good Year Blimp to Fly "ICE CUBE'S A PIMP." Hip-Hop History Tuesdays: The National Anthem of Hip-Hop, The Incredible Bongo Band's "Apache"
Sample This! The Incredible Bongo Band's "Apache"
This week's Hip-Hop History Tuesday Amoeblog takes a look at the song that truly qualifies as being "a hip-hop classic." In fact it is more than merely a "classic" but rather the classic when it comes to hip-hop music and culture. This record, which has rightfully been dubbed "the anthem of hip-hop," is the Incredible Bongo Band's well-worn song "Apach." It remains popular to this day, four full decades after Kool Herc first unearthed two copies of the (then mostly overlooked) record to make it a staple of his party rocking crates and a cornerstone of the genre from day one of hip-hop up in the Boogie Down Bronx - August 11th, 1973. Fast forward to today and you will still hear DJs rocking this track, see B-Boys and B-Girls all over the world breaking moves to it, and witness graffiiti artists playing it as they practice their craft. Furthermore, if you listen to any small amount of hip-hop music you hear songs sample elements from "Apache." The song was prominently used in the Doug Pray DJ documentary movie Scratch in 1999. In 2006 the actual record was reissued, while in 2010 a 7" reissue (with "Bongo Rock" on other side) was released, and more recently (in the past month) the 27-track downloadable set, 40 Years Of The Incredible Bongo Band, was released. On this day in 1986 the world lost her one and only wild one, Phil Lynott -- a man whose sound and vision are still very much alive in the hearts and minds of countless rockers the world 'round. From his vaguely Middle Earthian folk-rock proclivities that contributed to Thin Lizzy's early incarnations (evident in "lost" recordings like "Mama & Papa") on through to their first three albums, or the "Eric Bell years", to Lizzy's slow build to their mid-seventies hard rockin' heyday (solidifying their ultimate classic rock cult hero status) until the sun went down with Lizzy's last album in 1983, along with two solo efforts and his Grand Slam finale, Phil Lynott's life's work is infinitely sustained by his brilliance as a lyricist, musician, and a no holds barred, unapologetic fighter of a full-time rocker. No doubt raising hell in heaven above, his temporal existence will be forever missed. Sad news has surfaced that yesterday, January 3rd 2014, singer Phil Everly passed on according to sources at Pro vidence St. Joseph Medical Center in Burbank, CA where he had been hospitalized. Reportedly the 74 year old died from complications attributed to chronic obstructive pulmonary disease triggered by a lifetime habit of heavy cigarette smoking. Along with brother Don, Phil made up the legendary Everly Brothers singing duo who, with their smooth harmonies and memorable lyrics, ruled the pop charts from the latter fifties into the early sixties with a string of hits including "All I Have to Do Is Dream," "Bye Bye Love," "When Will I Be Loved," and "Wake Up Little Susie." Inductees of both the Rock and Roll Hall of Fame and the Country Music Hall of Fame the siblings began their musical careers early - first singing with their parents on radio shows and in concerts - before, while still teenagers, relocating to Nashville to become full-time songwriters. Ironically their first hit ("Bye Bye Love") as a recording duo was not a song that they themselves wrote but one written by Felice and Boudleaux Bryant that they discovered and decided to record, adding their own touches to it. It became a number two pop chart hit and a number one country charts hit in 1957 and paved the way for the siblings as chart toppers both here in the US and in the UK. Check for both the extensive catalog of the Everly Brothers and Phil Everly's solo output at Amoeba. If you are in the East Bay this afternoon herald in 2014 at the Bridge ArtSpace where the 4th Annual New Years Day Bell Ringing Celebration, and potluck brunch, and bonfire will be held at the endangered Richmond art space. Beginning at noon with complimentary coffee the new year bell ringing (bells big and small) and bonfire celebrations, followed by poetry and various music performances, begin at 1pm and run through 4pm at the converted storage space complex. To fans of this unique artspace - storage units converted into art studio spaces - today's bell ringing could also symbolize a premature farewell to the Bridge Storage and ArtSpace (aka "Bridge") has been scrambling to catch up with local city ordinances and permits. The City of Richmond’s Planning Department, its Building Department, and Code Enforcement Unit recently sent the Bridge an eviction notice stating that the converted art and music studios are not in full compliance with Richmond Municipal Codes and needs to vacate within the week. The timing of this bad news is ironic claims Bridge general manager Daryl Henline. "We’ve spent considerable time and money thus far in delivering a Planning submission and developing building plans for the project. Ironically, on the verge of this activity to bring our facility into compliance, we have been served with a “Notice to Vacate” all occupied units in the facility by January 6, 2014. This applies to tenants in all arts, music and workspace units at Bridge as well as our gallery," said Henline of the space he manages. 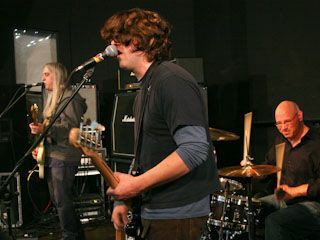 Henline admits that under his management that the space - a mix of storage units and converted art spaces with the rented storage spaces' rents covering the costs of the art spaces that are currently occupied by 25 artists and a variety of musicians in 6 rehearsal rooms - did not go about things in the correct manner. "We should have gone through proper channels, obtaining required approvals and permits before embarking on this new use for our facility," he said adding that the long term goal is to have a total of 40 art studios and 10 music rooms all for low income artists in Richmond.